BREAK, HEARTS. 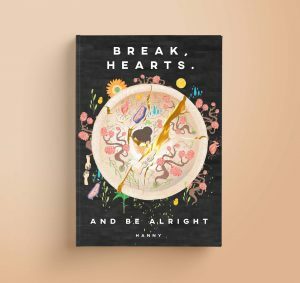 AND BE ALRIGHT, published by Write & Wander, in February 2018, is a journal and playbook for creative people who wish to nurture their heartbreak through intuitive writing, spontaneous doodling, and mindfulness practice. 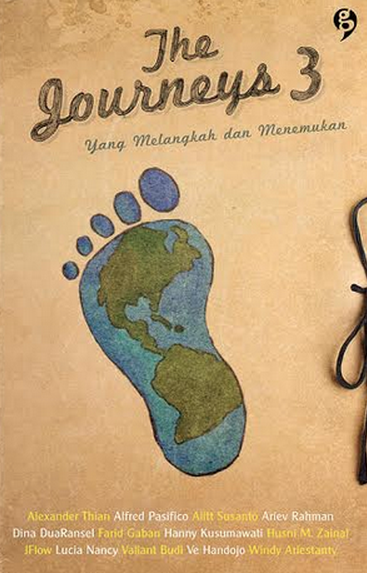 THE JOURNEYS 3 is an omnibus of travel stories published by Gagas Media in December 2013. The Journeys has become an awaited popular travel series since the launch of The Journeys 1. In this third book, the editor played with the premise of “traveling inside”. A pilgrimage to visit ourselves. Containing 13 stories with different ‘flavors’, written by 13 travelers, the book will become a great company for your weekend traveling journey. My story is Berhenti Sejenak (Pausing for A While). Berhenti Sejenak (Pausing for A While). The story revolves around my traveling journey to the beautiful Greek island of Santorini. Some related posts from this journey could also be found here. In Santorini, I learned a lot about happiness, about being kind, about keeping promises–and most of all, about the importance of pausing for a while and enjoying whatever life has to offer. Each moment counts–but only if you want to make it counts. So next time you’re traveling, what about having one day where you keep your cameras and phones locked away in a safe deposit box somewhere? Just bring yourself, your smile, and your open mind. And let everything you see and everyone you meet entertains your senses. Susah ya contact loe difb, ini chance g satu satunya di @beradadisini ? Semoga kau baca my friend hahaha..
Rey balik noh, pgn ajak ketemuan han, sama yg laen jg biar rame. tapi i ga ada contact yg laen laen. Sekalian maybe g dalam rangka ketemu penulis idola?